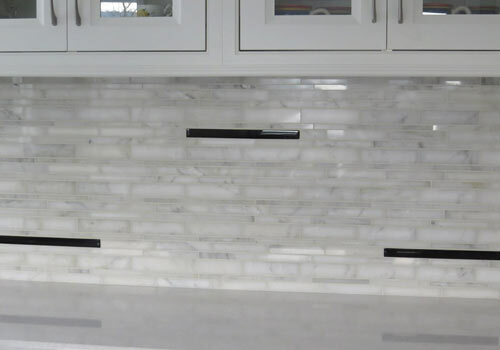 Revamp the look of your home or workplace with beautiful ceramic, porcelain, or stone tiles from Classic Tile Imports, Inc. in Elmira, NY. Give us a call to schedule a residential or commercial tile installation. We guarantee efficient services and superior quality results. A ceramic tile is a glazed product made from clays and other ceramic materials. It's fired to a temperature that's high enough to produce a dense body. Decorative ceramic tiles are heated at a lower temperature and for a longer time frame, which allows the glazes to work. Some low-fired ceramics are frost resistant. Porcelain tiles, on the other hand, are durable and long-lasting glazed or unglazed tiles made of extremely fine porcelain clay composition that produces dense, impervious, fine tiles. This makes it perfect for both indoor and outdoor use and safe for extreme cold. Like the name suggests, natural stone tiles have imperfections but are available in a wide array of colors and textures. In fact, it is not uncommon to find a great variation of colors, textures, and veins within the same stone. Like porcelain tiles, natural stone tiles are ideal for both indoor and outdoor use even in high temperature areas. Instead of spending top dollar on high-maintenance hardwood flooring, choose one of our tile options. Various durable selections are available with the same look of hardwood but with less maintenance. As an added bonus, you won't have to worry about sanding or resurfacing your floors or repairing scratches. Simply mop your floors and go. No matter the tile you choose, feel at ease knowing we're readily available to handle your tile installation needs. 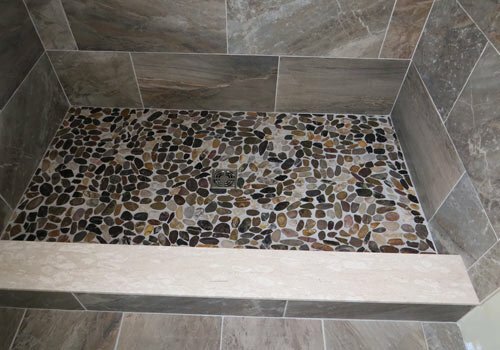 As an added bonus, we offer a custom tile design to give your space a wow factor. Whether you need tiles for your bathroom, kitchen, or patio, you can count on us. Contact us today to schedule an appointment. 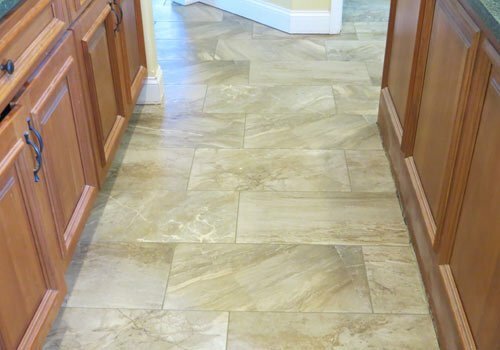 We promise to deliver outstanding tile work that is within your budget.